Thunder Scientific - Humidity Calibration and Generation, NIST Standards. View a demonstration of the Model 1200 Two Pressure Humidity Generator. HumiCalc with Uncertainty software, calculates complex humidity uncertainties with ease. Thunder Scientific® offers the industry's best solution to your humidity calibration workload. 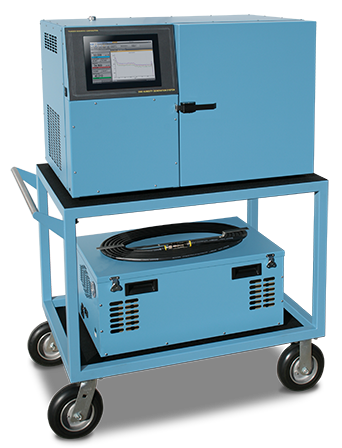 The world's leading manufacturer of NIST-proven, two-pressure humidity calibration systems, Thunder has offered a full line of humidity generation equipment, software, and accessories for over 50 years. More than 1200 clients constitute a testament to insistence on quality, accuracy, and customer satisfaction. Our clients represent the full spectrum of companies with close tolerance humidity calibration needs like yours. Thunder Scientific also offers calibration services for a wide range of humidity instruments. We are currently the only NVLAP accredited source to offer humidity calibrations that are traceable to the International System of Units (SI) through NIST-maintained standards with uncertainties at 0.31 %RH of reading*. We constantly research and improve our humidity systems to meet the changing requirements of industry. Sign up for our email newsletter, Thunder Struck, to stay up-to-date with our latest product innovations. Congratulations, to our Lead Calibration Technician/Trainer, Rudy Garcia who received his Certified Calibration Technician this year from ASQ. * Represents an expanded uncertainty using a coverage factor, k=2, at an approximate level of confidence of 95%. Uncertainty for relative humidity is not specified below 0 °C.